A good hot water heater is a must-have in any home. You need hot water for washing dishes, doing laundry, showering and bathing, and you need a water heater that won’t let you down when you need it most. At Rowell’s Services, we offer a complete range of hot water heater services in Northfield, New Hampshire area, and we are here to help you make sure you always have hot water when you need it. Whether you are in need of a water heater for a newly constructed home or your current heater is due to be replaced, we have exactly what you need. We sell and install both tankless water heaters and conventional water heaters with storage tanks, and we will help you choose the system that is best suited to your home. From helping you find a heater that’s properly sized to provide your family with enough hot water, to working with you to assessing what style is right for your home, we’ll help you make a decision you’ll be happy with. Take care of your water heater, and it will provide you with several years of dependable use. 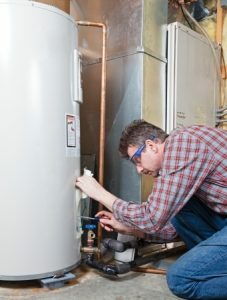 Water heaters require very little maintenance, but they do need a little TLC from time to time. When you choose us for the job, we will perform routine maintenance to make sure your water heater won’t break down at an inopportune moment. When problems do arise, we also offer water heater repair services. If your water is taking longer to get hot, isn’t getting as hot as it used to or there is any other type of problem, we recommend contacting us right away. The longer you wait, the more serious the problem will likely become. When you need professional water heater service in New Hampshire, depend on the experts right here at Rowell’s Services. To schedule an appointment, please give us a call at 603-934-4145.